In this scene, mermaids, tritons, and marine cherubs effervesce from the sea around the mighty marine god, Neptune. 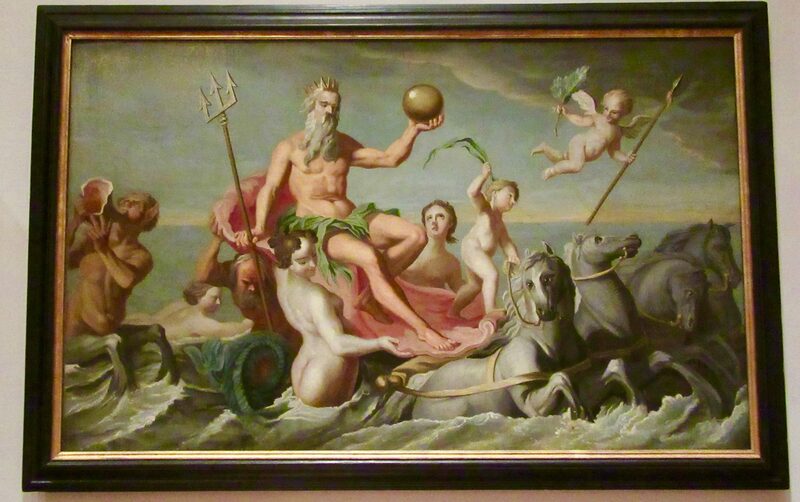 John Singleton Copley derived the image for The Return of Neptune (1754) from an engraving of 1749 by Simon Francois Ravenet, after a design by the Italian painter Andrea Casali. It is among Copley’s earliest works, executed when the artist was about fifteen years old. He may have been introduced to the European print while viewing works in the collection of his stepfather, Peter Pelham, a well-known engraver and print seller in Boston. Colonial American furniture makers had similar access to prints and design books that they used as inspiration for carving patterns, decorative motifs, and geometric proportioning.